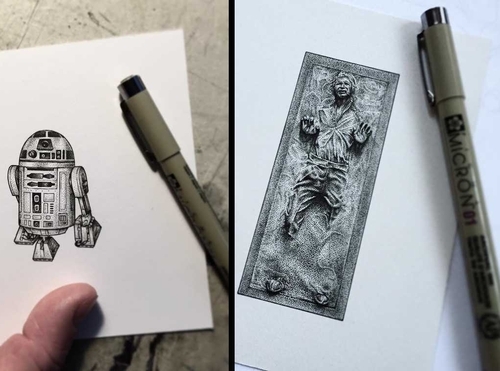 British Artist Paul Jackson now works in Toronto and this is a direct quote from him "I love drawing stuff - the weirder the better." 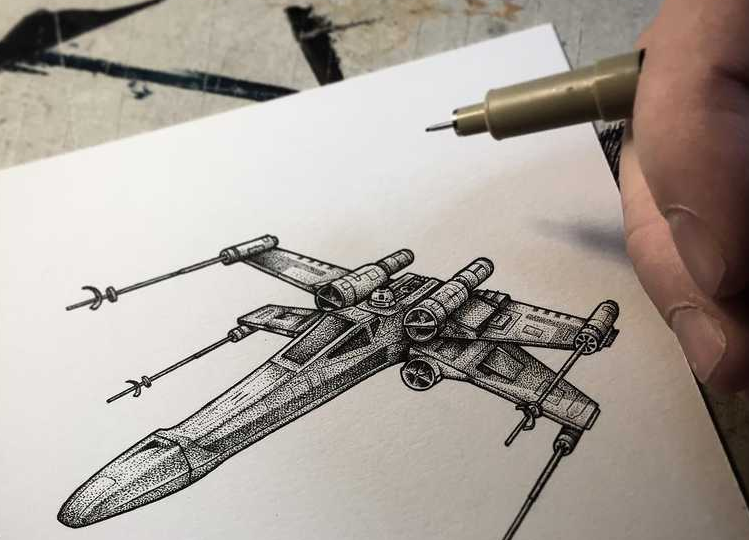 This is the second post on Star Wars this week, but with the new film having just come out, we thought we would celebrate the occasion. 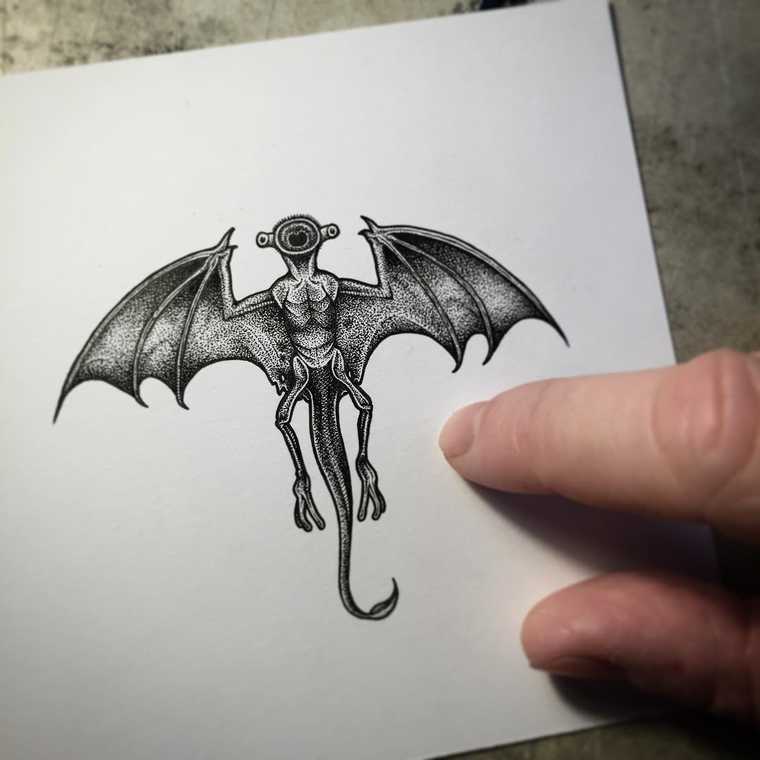 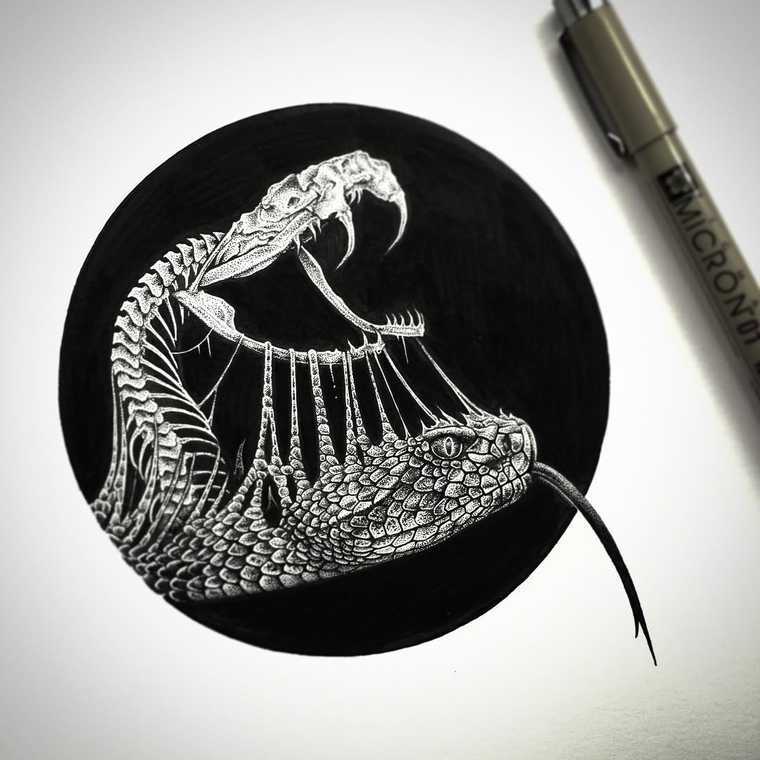 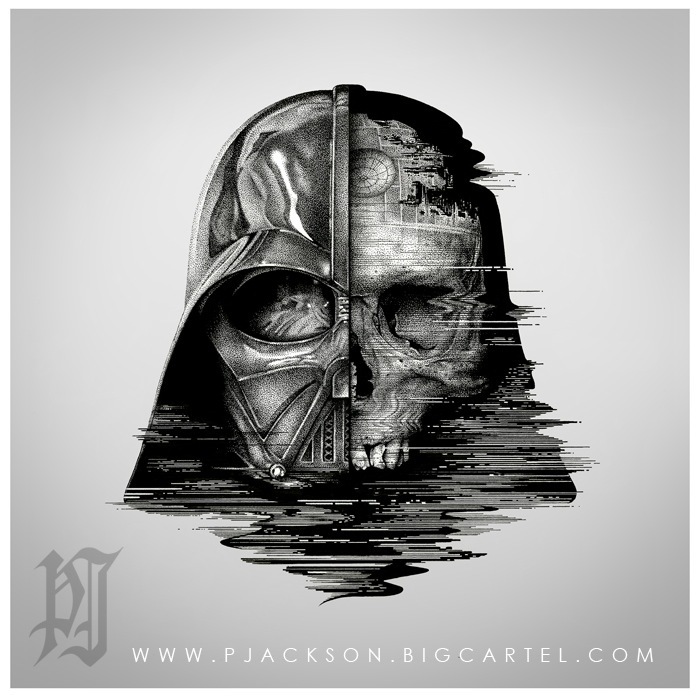 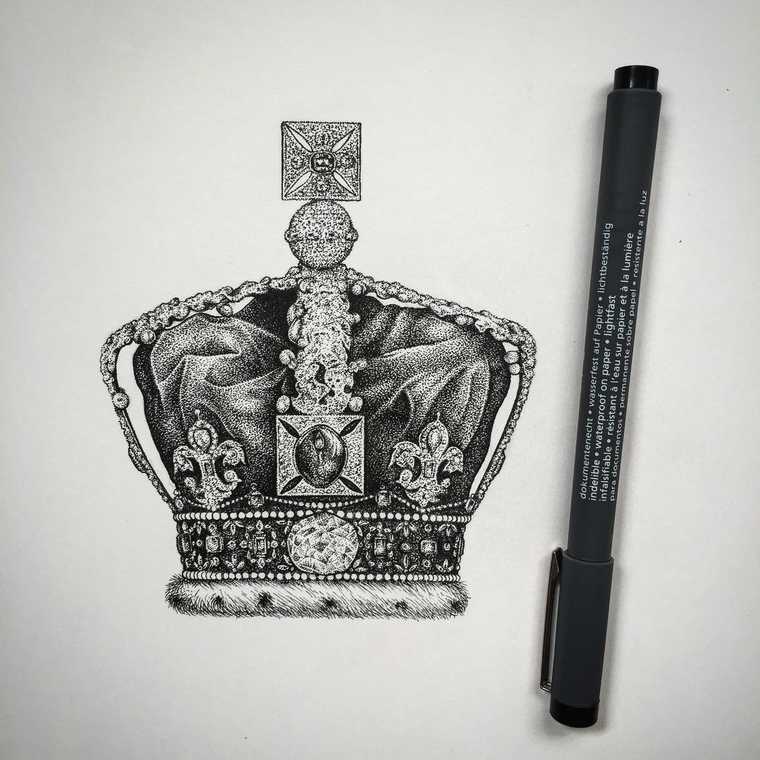 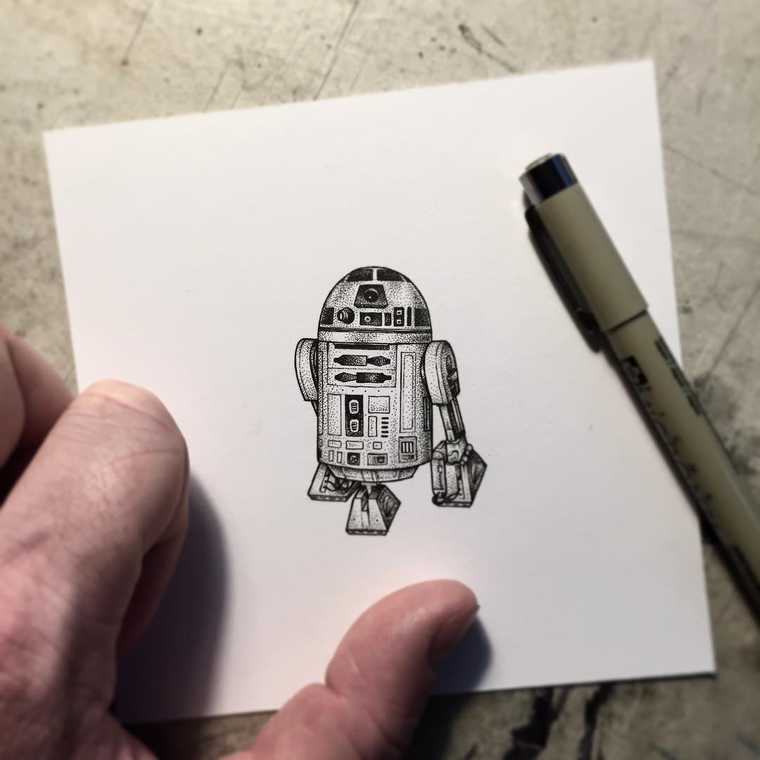 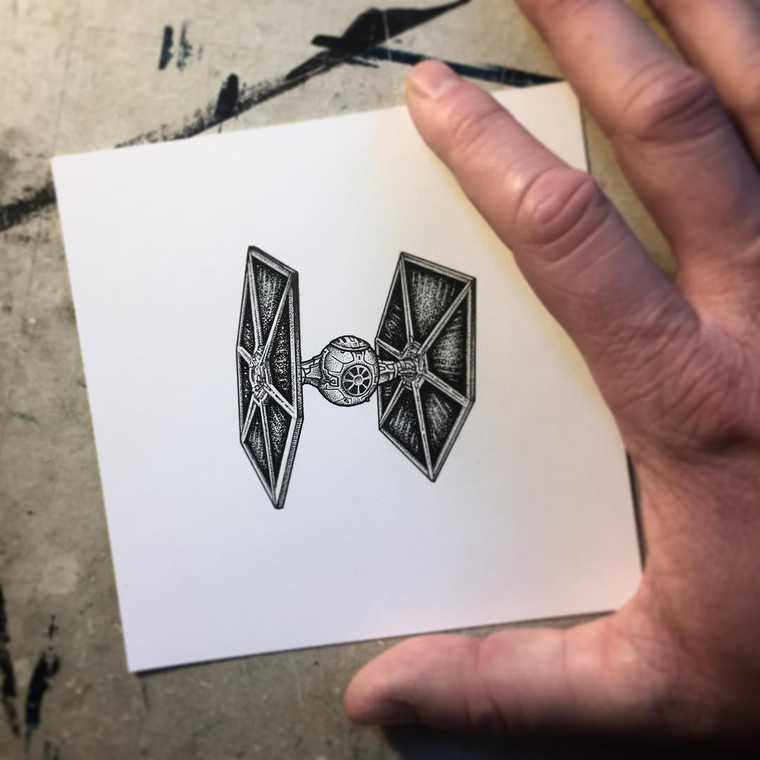 Even though this post is about miniature Star Wars Drawings, we wanted to add just a few more of his illustrations, as they are really cool, like for example, Charles Darwin with his Brain being 3D Printed, very deep and full of symbolism. 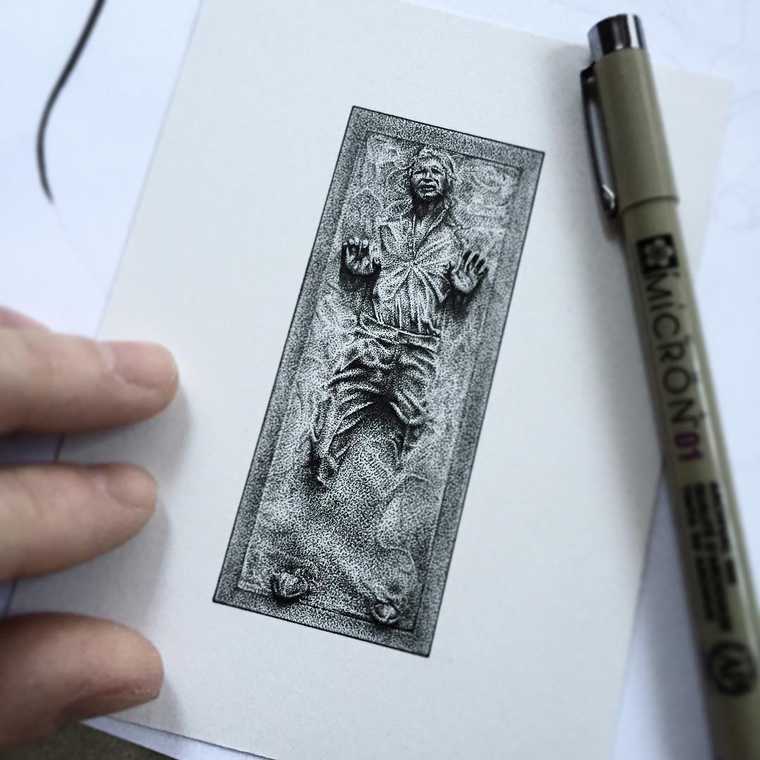 Star Wars Harrison Ford - Han Solo in Carbonite. 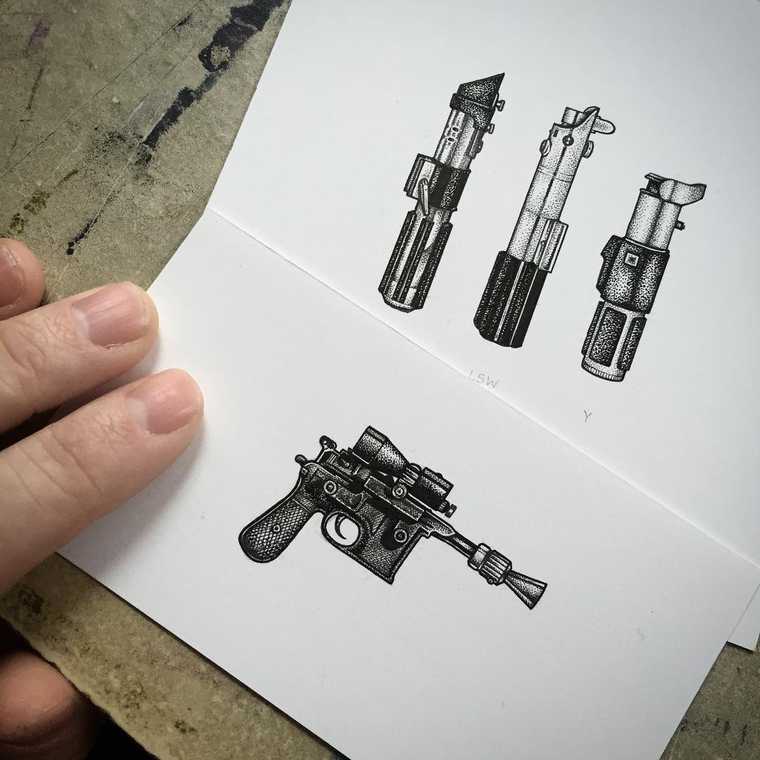 Star Wars Weaponry - DL 44 Blaster and Lightsabers. 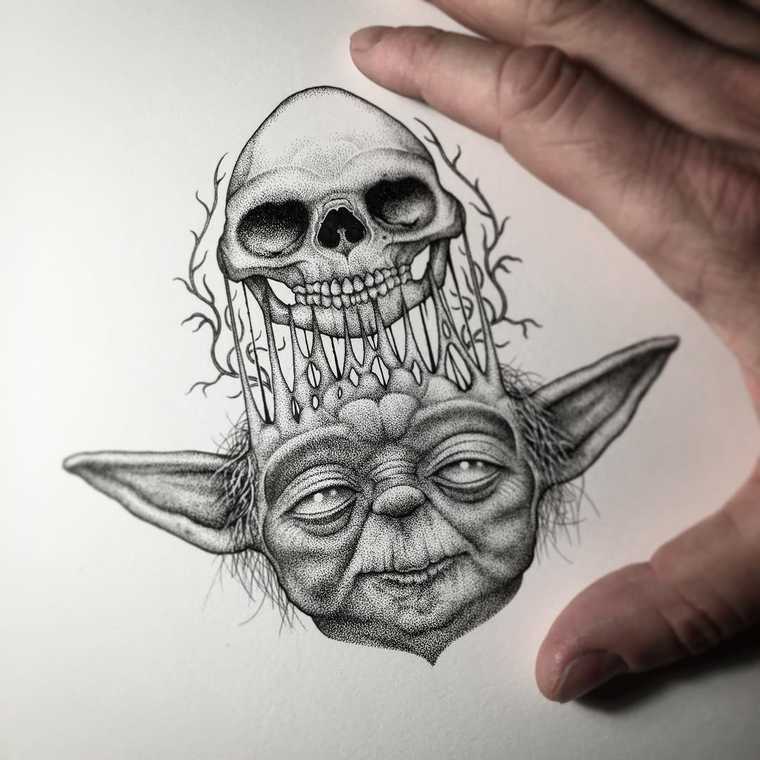 Star Wars Master Jedi Yoda. 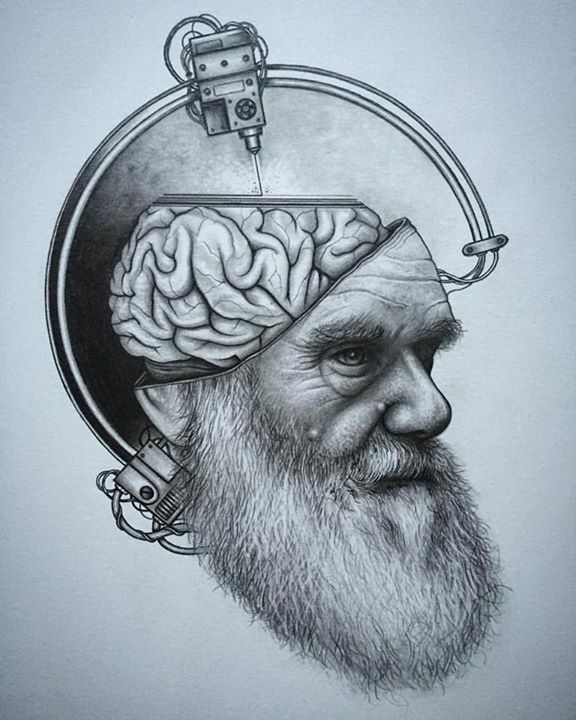 3D Printing Charles Darwin's Brain. 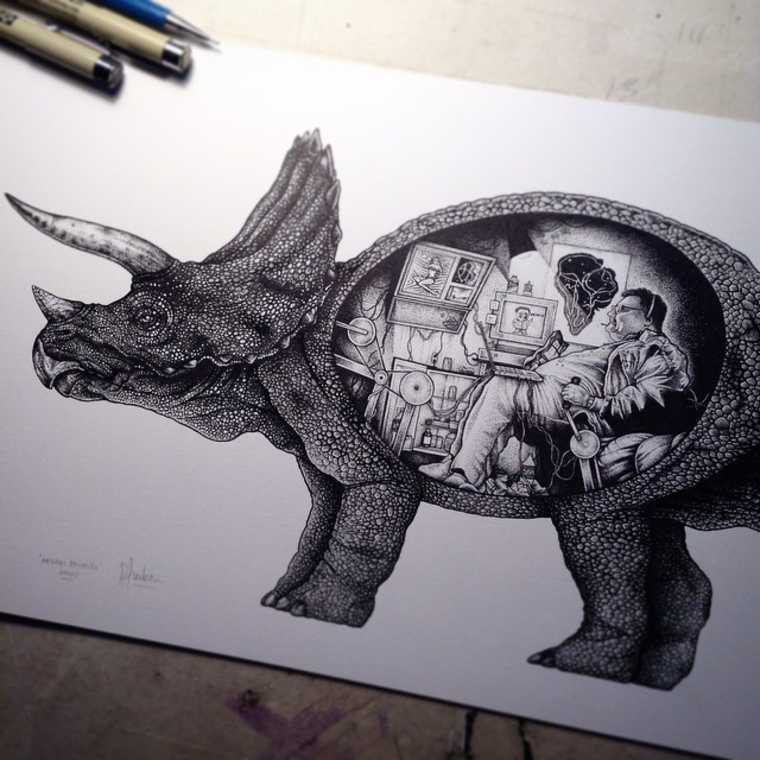 Newman from Seinfeld Piloting a Triceratops.